The Stonefruit Community Herbalists provide free and sliding scale herbal consultations and plant medicine. We strive to offer accessible, empowering health care to strengthen our communities in the fight for social, racial, and environmental justice. To us, the ripening, juicy stone fruit represents full-hearted engagement with the struggle for wholeness and survival. It also represents the sweetness of our queer community. We offer one-on-one herbal consultations to clients, to discuss health issues, frame goals, and develop an herbal plan customized for your needs. One-On-One Herbal Consultation – An initial, 90 minute consultation costs $80. Follow-up consultations are 45 minutes and cost $50. An herbal regimen can be tailored to your budget, typically costing $20-60 a month. ‘Pay What You Can’ Days – Stonefruit wants herbal care to be accessible to our entire community. Every Tuesday and Wednesday we’re available for sliding scale appointments. 30 Minute Care Check – A 30 minute care check is is good for acute conditions: colds, flus, or other acute illnesses, injuries (that don’t require immediate medical care) or for quick check ins. These appointments are also available for those wanting a specific herb or herbal formula. 30 minute care checks can be done in person or over the phone, and cost $35, plus the cost of herbs. Herbal House Call – An herbal house call is a home visit from an herbalist when you or your family members feel too sick or are in too much pain to go out of the house. House calls are for acute situations only. An herbalist will take a comprehensive look at your symptoms and formulate an herbal protocol. A visit costs $100-200 sliding scale, plus the cost of herbs. 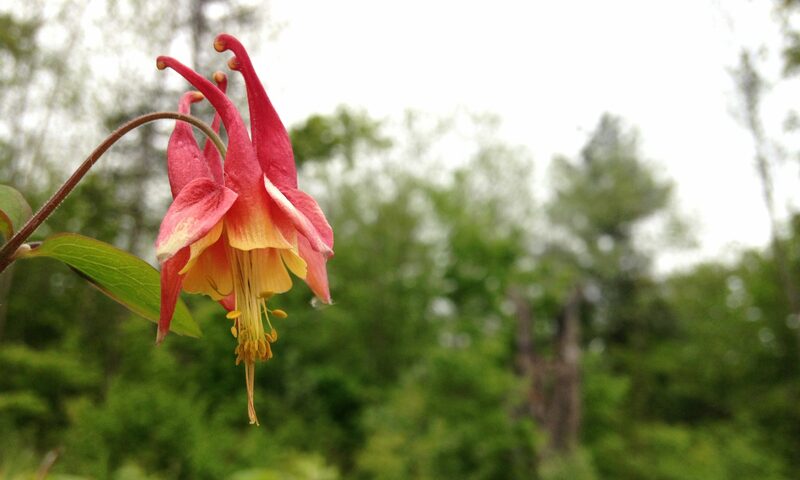 Stonefruit Community Herbalists offer classes and workshops on and off site. We have experience teaching herbalists, community members, people in various health fields, college students and children. Our workshops aim to be accessible to all, to address individual needs in the audience, and to deepen our understanding and connections to plants and plant medicine. If you would like to book us for a class or workshop, please be in touch. We love bringing our workshops to you and can tailor each class to your audience, time frame and topic. We have a number of workshops prepared, and are happy to develop a workshop specifically for your group. Stonefruit herbalists are offering a variety of multi-session courses in 2019. Our 2019 Intro to Herbal Studies Immersion is now full! Fill out the application form to put your name on the wait list. Michelle Soto is a fashion forward herbalist, educator, gardener and dog lover. She runs Cutting Root Apothecary and Farm, a medicinal herb and flower farm in Butler, PA. Her dream for Cutting Root is to match the plants she cultivates with the people who need them. Whether a bouquet of flowers, a beloved medicinal for your own garden, or a personalized tincture, she wants to help make plants accessible. She is committed to strengthening our community’s health by offering herbal medicine to those for whom alternative health practice might be out of reach. She takes a harm reductionist approach, including diet, nutrition, and lifestyle changes and uses alternative methodology such as reiki, focusing and meditation in her practice. She is a trained doula, reiki level one master, and community organizer. Jocelyn Kirkwood is a community herbalist and social justice activist from Cleveland, OH. 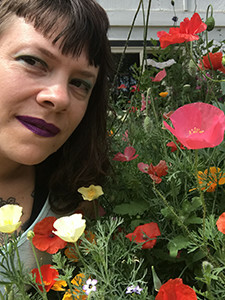 Co-founder and herbalist at the Lake Effect Free Alternative Health Clinic, Jocelyn specializes in harm reduction, first aid, LGBTQ health, pain, chronic conditions, and mental health. 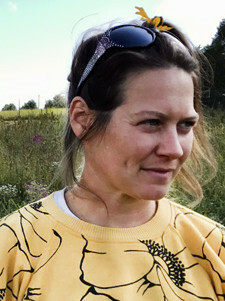 She is also an experienced permaculture gardener, and gets great joy in growing and harvesting many of the herbs that she uses in her practice. Jocelyn loves connecting people with plants through the incredible world of herbal medicine. She has studied herbs formally at the Northeast School of Botanical Medicine and The Well Of Indigenous Wisdom School, and continues to grow her knowledge through self-study and intensives. Jocelyn believes that people can be empowered in their health care through the use of herbal medicine. Vilde Chaya Fenster-Ehrlich came to herbal medicine with the desire to bring effective tools for self-care to her life and her community. She found the rich world of plant medicine to be completely thrilling — meeting the vibrant flowers and herbs and trees in their various habitats; learning about the traditions and the science of the medicine; and understanding how our bodies work and how plants can work with them! 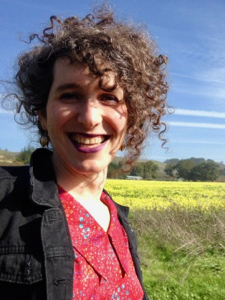 She has been practicing herbalism and teaching workshops since 2007, with the intention of making herbal medicine accessible, to connect people to the plant world, and help empower people to be in charge of their own healing process. She helped found and run a free LGBTQ herbal clinic in Cleveland, OH, and specializes in herbal support for trans clients. She believes in our capacity for healing and wholeness and a little bit of joy, and knows that we are better off facing our life struggles with plants as our partners.